Successfully buying and maintaining a property overseas often requires the assistance of many different agencies and companies. The thought of having to deal with Lawyers, Property Management, Snagging, Rental Agencies, Furniture Suppliers Mortgage Brokers and Currency Bureaus can be a daunting thing, especially when you’re not planning on spending much time in the country you are buying in. However, we are in the business of helping to make the process of owning a property overseas simple and enjoyable, we will happily assist you to make the right choices in all of these areas, with us “After Sales” means you will be looked after long after the sale right up to the point where you feel you’re ok to go it alone. Our staff do this for a living so when you have purchased your property our works begin, from monthly updates and pictures if you buy off plan to snagging when the property is finished, from connecting utilities to making sure your furniture is installed correctly, from holding keys in our office to collecting you from the airport, “After Sales” doesn’t need to be an afterthought it’s something that can start from the moment you choose your new property. After completion the companies you choose to work with will depend upon the type of property you buy and what you intend to use it for, which region it is in and of course your personal circumstances and preferences, that’s why once we’ve listened to you and understood your needs we will advise you as to which companies we feel would best suit your needs. When buying a property overseas it is often necessary to exchange large sums of money into a foreign currency, this type of transaction is nearly always best suited to a specialist currency broker. Brokers offer better rates and you can make substantial savings using them for larger transactions, they are also useful for moving regular sums such as salary or pension into an overseas account. If you are concerned that fluctuations in the money markets could reduce your overseas buying power then you could “fix” the exchange rate with brokers, typically for up to 2 years, another benefit is that they are usually faster than banks. It is worth considering using a specialist company to furnish your new overseas home, such a company can provide and install a wide range of furnishings cost-effectively, typically offering packages to suit all types of budgets and delivering/Installing everything you are likely to need. If you are looking to furnish your property in order to let it out, then it is important to do so to the right standards, it will have to comply with safety regulations, satisfy all the requirements of the rental agency and not least deliver a “wow” factor so your clients come back or recommend your property to others. Again, this is where a specialist company has the edge over you trying to do it yourself, not least because they can negate the need for you to be there for any of the process. Unfortunately, after-sales is an afterthought for many real estate agencies who may promise the earth but then fail to deliver as they not only have no structure in the company to support this, but they also don’t have the necessary experience to carry it out efficiently, we have dedicated staff trained to recommend the right specialist, independent firms whom you can work with in order to get your property furnished to the right standard and with the least amount of hassle to you. Buying a property overseas is probably one of the most significant financial undertakings you’ll ever undertake and brings with it legal and financial obligations beyond what is already obvious. Your property will form part of your overall estate so you’ll need to understand the laws of succession and your inheritance tax liabilities. If you wish to rent the property you’ll be liable for income tax at home and abroad and you need to understand that liability, your declaration responsibilities and any double taxation agreements. All of this compounded by differing language and legal systems can be quite daunting and without good legal representation it could be fraught with problems. That’s why we always recommend you use the services of a reputable, independent lawyer who can best represent your interests, in every region we sell we can help find the right law firm for you. Once your property is complete there is a period when the developer waits for the licence to be granted, this usually takes around 3 months and is an ideal opportunity for us to snag your apartment, although its new and just finished there are still small snagging issues that are much easier to sort out before you complete, the builders are still there and the developer is much keener to get them done before he asks you for final payment, we are one of the only companies offering this service which astounds me as it’s a vital part of taking ownership, if you’re buying a resale property it is important that time is taken to ensure a snagging is allowed and depending on the age a surveyors report completed, again we can arrange all of this for you allowing you to relax at home without having to fly back and forth. From the moment your keys are available to you, if you are a non-resident then it makes sense to employ a property management company for management and maintenance, whilst some services to an extent overlap with those offered by a rental company and indeed are often offered by the same organisations you ought to consider having a property management company look over your home even if you’re not planning on letting it out. This will allow them to monitor the security of your home, testing the equipment, gas/electric/light bulbs etc and hold a log book submitting regular reports to you as owners. They are in effect your eyes and ears in Portugal taking care of your property while you’re not around to do so. If you do not intend to stay long term in your new holiday home, long or short-term rentals can do everything from deliver a substantial income from your investment to simply covering some of the costs associated with ownership. Property rental companies range from small firms with specialised local knowledge to multinational. There will be an online booking system that will allow you to keep track of who is letting your property and a good company will manage everything, usually for a fee of around 20% plus the cost of the rental which can range from 7% with companies such as Air B&B to 15% with someone like Booking.com. There are advantages and disadvantages to using small or multinational companies and your individual circumstances, type of property and rental aspirations will help to decide the best approach for you, we know the options in each of our regions and are happy to advise you. Home Mortgage, Equity Release, Overseas Mortgage, Buy to Let Mortgage… there are so many choices for the overseas buyer looking to borrow to fund their purchase, by using a reputable mortgage broker you can understand these choices and get the right product for you. It’s the fastest way to get an understanding of how an overseas lending market works, what is available and what suits your situation. By combining the professional expertise with access to many different lenders a specialist broker will provide you with an efficient and cost-effective method of reviewing, negotiating and organising your options. A mortgage broker will get you the cheapest possible deal, with the right features for you, which has the closest match to your personal finance circumstances, chosen from their panel of banks and lenders. They’ll then help you see it through to completion. 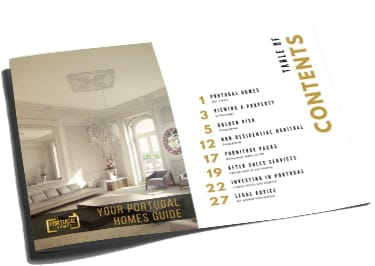 For a comprehensive list of what’s included in PortugalHomes.com After Sales programme and to discover all the benefits just fill out the quick form below and one of our team will get back to you asap.